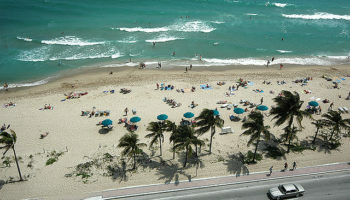 Florida is one of the America’s top travel destinations. Home to incredible beaches, enormous amusement parks and several exciting cities, it is easy to see the appeal of the Sunshine State. While big cities like Orlando and Miami are top travel spots, you’ll miss out if you don’t also explore some of the best islands in Florida. 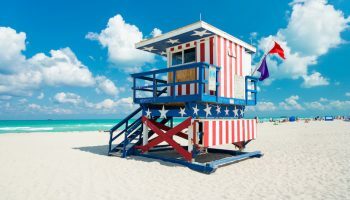 From coastal isles that are off the beaten track to bustling destinations closer to Cuba than Miami, these are some of the top islands worth visiting while in Florida. Surprisingly, all are accessible via one or more bridges, an unusual but fantastic advantage for those coming by car. 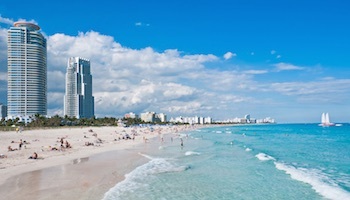 Off the coast of Miami, and just south of Miami Beach, is the barrier island known as Key Biscayne. 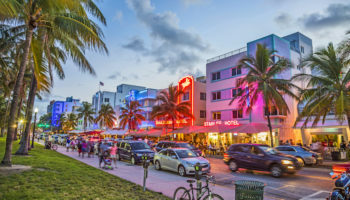 Although it is close to the hustle and bustle of Miami, it is primarily a quiet residential area. Key Biscayne is a fantastic place to get active and enjoy the warmth of Southern Florida. 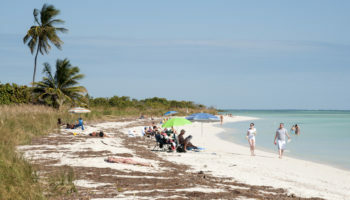 Enjoy the three-mile stretch of white sand at Crandon Park, or make your way to Bill Baggs Cape Florida State Recreation Area for kayaking and a tour of the local lighthouse. There are also miles of paved pathways to enjoy activities like jogging, cycling and rollerblading with views of the water. 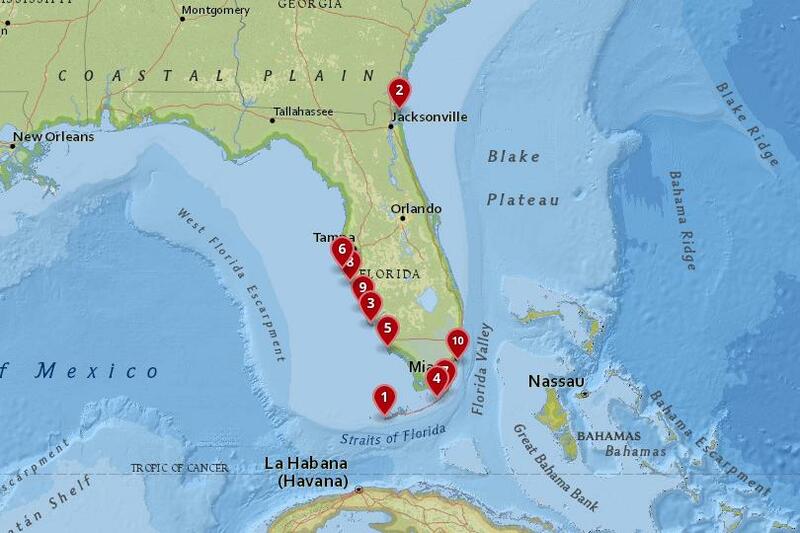 Gasparilla Island is a small barrier island on Florida’s western coast. Although close to cities like Port Charlotte and Cape Coral, Gasparilla Island boasts a far more relaxed atmosphere. Named for a Spanish pirate that once lived on the island, Gasparilla is one of the few places where you can still experience old Florida. On Boca Grande Beach, take a morning stroll and dip your toes into the cool ocean water. The very southern tip of the island is home to the Port Boca Grande Lighthouse, which was first lit in 1890. If you’re interested in birdwatching, then a ride along the Boca Grande Bike Trail will definitely be memorable. Just off the coast of Sarasota is Siesta Key, a barrier island in the Gulf of Mexico. Much of Siesta Key is white sand beach, and its 8-mile long public beach is widely recognized as one of the most beautiful beaches in the United States. Many people who come to Siesta Key come specifically for the beach, and there is no better way to spend the day than soaking up the sun and going for a dip in the ocean. 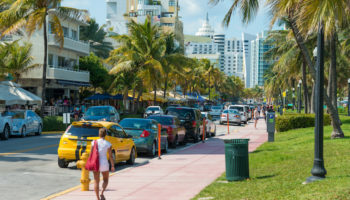 Up and down Ocean Boulevard, you can dine at independent eateries, grab drinks at local bars or just shop for souvenirs. 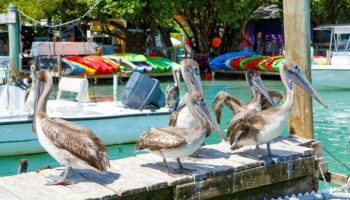 As you head south of Miami and begin exploring the Florida Keys, one of the first you’ll see is Key Largo. As the first major stop in the Florida Keys, many visitors bypass Key Largo on their way further south. However, Key Largo is also worth a longer stop. 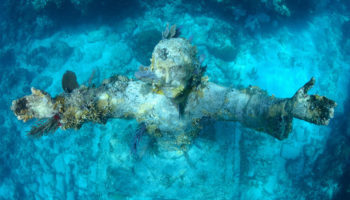 If you’re into scuba diving, in particular, then Key Largo is absolutely somewhere you’ll want to spend some time. Head to John Pennekamp Coral Reef State Park for scuba diving and snorkeling, or join a guided tour to head further off the coast. South of Tampa and St. Petersburg is another barrier island in Florida, known as Anna Maria Island. Once again, the big draw to Anna Maria is access to the beautiful beaches. 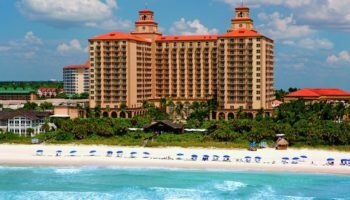 Bradenton Beach and Coquina Beach are two top picks for anyone eager to do some swimming or just build castles in the sand. 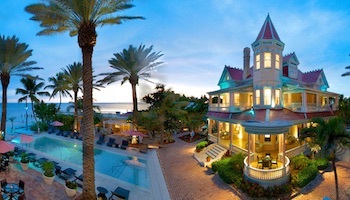 Anna Maria Island has also tried to preserve much of its history and architecture and provides an “Old Florida” feel. A visit to the Anna Maria Island Historical Society can be a great way to learn about the Timucuan Indians that inhabited the area as well as the subsequent Spanish settlers. If you take a bridge leading off of mainland Florida from Naples, you’ll get to Marco Island. Located just on the edge of the Everglades, Marco Island is a popular spot for boat tours in Southwest Florida. It is also an urban island, and high-rises along the coast provide visitors and residents alike with spectacular ocean views. The island is a common destination for deep-sea fishing charters, romantic sailing cruises and dolphin-spotting expeditions. Of course, Marco Island also boasts some wonderful beaches. South Marco Beach is known for its spectacular sunsets, and Tigertail Beach is known for its shells. At Tigertail Beach, always look down, because the beach is littered with extraordinary shells you’ll want to add to your collection. Roughly one third of the way between Miami and Key West is Islamorada, a city that is technically located on several different islands: Tea Table Key, Plantation Key and both Lower and Upper Matecumbe Keys. Islamorada is sometimes called the Sport Fishing Capital of the World, and it attracts a number of serious anglers as well as amateur fishing enthusiasts. If you would rather admire the fish than catch them, Bahia Honda State Park is a popular spot for snorkeling that is located right off the Overseas Highway. Nearby, at Theater of the Sea, you can swim with dolphins and even sea lions. On the western coast of Florida, in the waters of the Gulf of Mexico, is Sanibel Island. The entire barrier island is a top vacation spot, and it is known as a quieter, family-friendly destination for travelers. The beaches on Sanibel Island are stunning, but don’t expect pristine, fine white sand. Instead, the beaches are made up of sand dollars and shells, meaning that there is always something spectacular to admire right at your feet. When you’re not collecting shells on Sanibel Island, you might take a tour of the island’s historic lighthouse, or you could do some birdwatching at the world-famous J. N. “Ding” Darling National Wildlife Refuge. 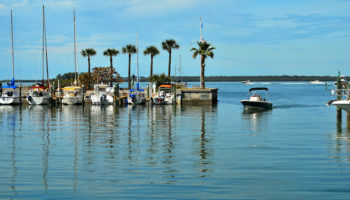 In the northeastern part of the Sunshine State is Amelia Island, a barrier island in the Sea Islands Chain. Once again, this is an island in Florida known for its spectacular beaches. 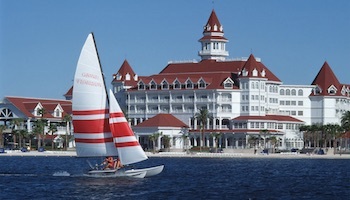 It is also a fantastic recreation destination that boasts activities ranging from golf to boating. If you also want some historic background for your trip, be sure to check out Fort Clinch. The original fort still stands overlooking the beach, and the adjacent museum is excellent. Best of all, there are several miles of hiking paths surrounding the fort. Arguably the most famous island in all of Florida is Key West. The southernmost part of the state, Key West is a world-famous destination that boasts year-round warm weather as well as unforgettable nightlife. Whether it is January or July, you can expect Key West to be in full swing. If you’re a history buff, be sure to check out Ernest Hemingway’s house, or take a tour of the incredible Harry S. Truman Little White House, where the president liked to do business during the winter months. At sunset, head to Mallory Square for lots of live performances and a great view. Then, make your way to Duval Street for excellent seafood and countless bars open until the early hours of morning. Which islands in Florida do you consider to be the most beautiful? You are missing one of the most special islands in Florida! Palm Island (also known as Don Pedro Island) in Charlotte County. It’s a barrier island accessible only by boat or ferry. On the island is a resort, Palm Island Resort, which has that Old Florida feel. They are private condos and homes which can be rented.